Poki and Country of the Games return to the fray with a new and absurd proposal, Zlap.io , a game where we have to balance our club with enough force and precision to enable us to achieve our rivals and become the winner. 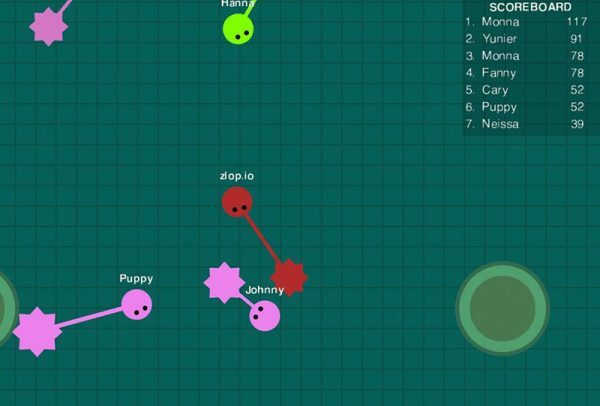 Zlap.io is an online multiplayer title that once we introduce our gladiator name at first, puts us in a virtual arena to challenge us to become the most ruthless murderer of the game. Moving through the level using the arrow keys on the keyboard and using the mouse to create the inertia of our “club”, we have to be clever enough to coordinate our attack moves and dodges. The goal is to move to different players / enemies who are on the stage and once located we have to hit our club at the center point of the opposing club. If we manage to make our club absorb white unlike thereby increasing our size, scope and punctuation. The trick; not stop moving, still Rockin while earning enough to deliver the coup de grace to the contrary inertia.